I love candid walking photos. Even ones when the bride and groom and not even aware that I'm taking the picture. In this moment the groom is holding the bride's dress as we walk to another location for portraits during their cocktail hour. 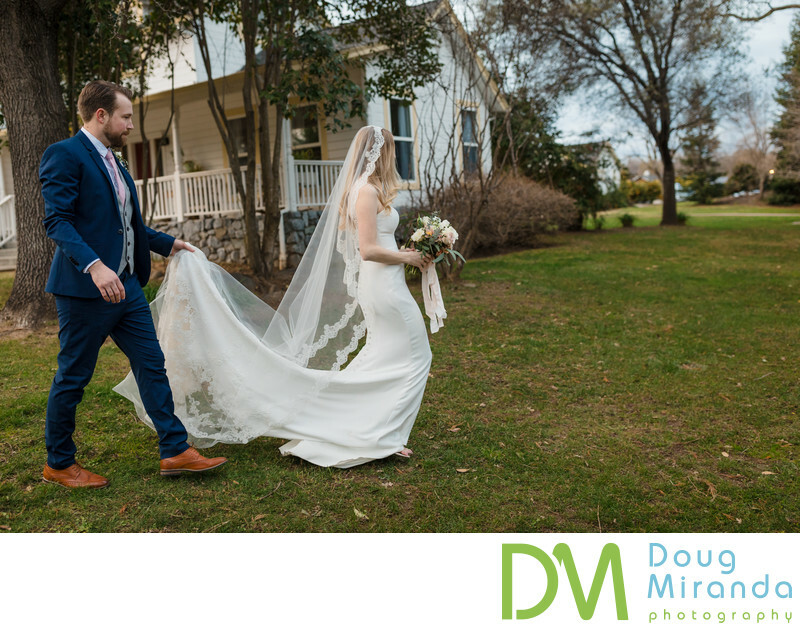 This bride had such a long and pretty dress and veil that it made from some great depth and movement to the pic.